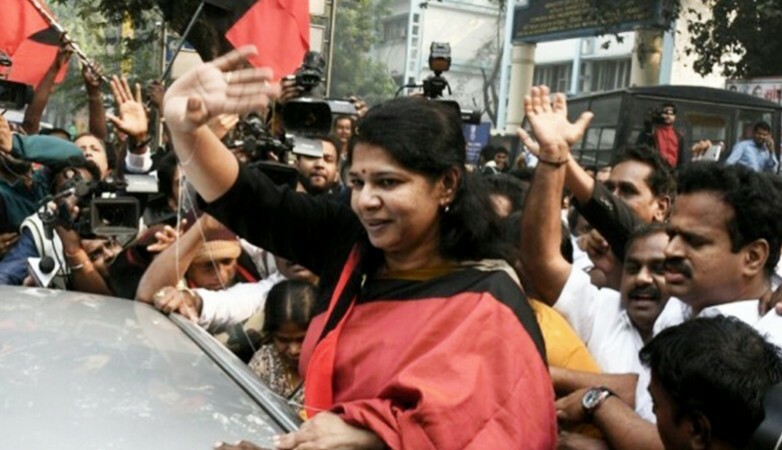 After a special court acquitted her in the alleged 2G scam, DMK MP Kanimozhi on Thursday said it was a big day for her and her party and that it was a "harrowing experience" to be accused of corruption when she was not at fault. The daughter of DMK President and former Tamil Nadu Chief Minister M. Karunanidhi said it was now time to put the whole thing behind her and look ahead. "It was a harrowing experience to be accused of something which you haven't done and being accused of a corruption that you have never been a part of," a beaming Kanimozhi told the media here. "We are all very happy that justice has prevailed. It is a very big day for the DMK and it's a big day for all of us," she said. She said the DMK suffered because of the dragging trial "because time and again people tried to use it against us. "My family, my brother Stalin and my party stood by me throughout the trial and I am grateful to them," she added. A special court on Thursday acquitted all the accused in the alleged 2G scam, giving a major relief to former Telecom Minister A. Raja and Kanimozhi who were jailed on charges of taking kickbacks to issue the telecom spectrum and licences in 2008 at throwaway prices.